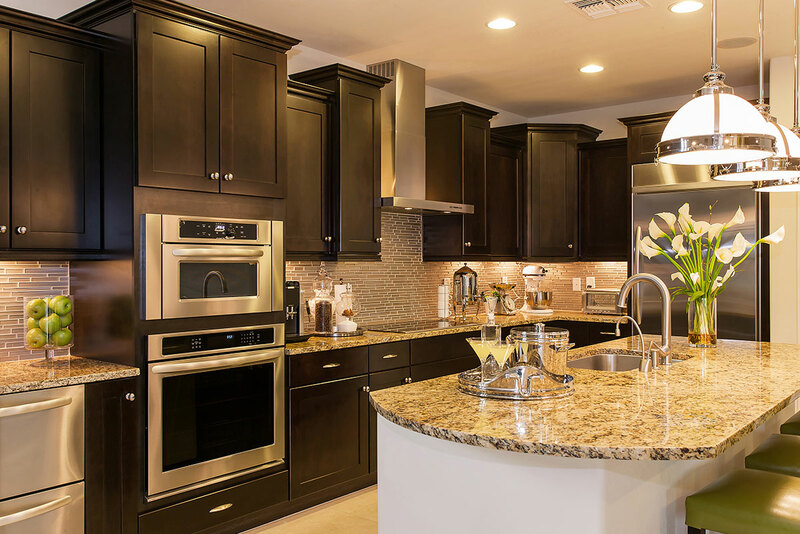 Custom walnut cabinets were used here, set off by the stainless steel appliances as well as the lighter colored granite countertops. To keep the kitchen more open a lighter color porcelain tile was used to accent the overall look and feel. Notice the grey glass tile full wall back splash to help blend the colors together. Custom walnut cabinets were used here, set off by the stainless steel appliances as well as the lighter colored granite countertops. To keep the kitchen more open a lighter color porcelain tile was used to accent the overall look and feel. Notice the grey glass tile full wall back splash to help blend the colors together. Custom walnut cabinets were used here, set off by the stainless steel appliances as well as the lighter colored granite countertops. To keep the kitchen more open a lighter color porcelain tile was used to accent the overall look and feel. Notice the grey glass tile full wall back splash to help blend the colors together. [WD_GALLERY id=840] Custom walnut cabinets were used here, set off by the stainless steel appliances as well as the lighter colored granite countertops. To keep the kitchen more open a lighter color porcelain tile was used to accent the overall look and feel. Notice the grey glass tile full wall back splash to help blend the colors together. Custom walnut cabinets were used here, set off by the stainless steel appliances as well as the lighter colored granite countertops. To keep the kitchen more open a lighter color porcelain tile was used to accent the overall look and feel. Notice the grey glass tile full wall back splash to help blend the colors together.